Wow. What a treat. There I sat, in my little ‘nook’ by the stage-door, taking it all in. America opened the show, sang by all of the choirs in the collaboration. 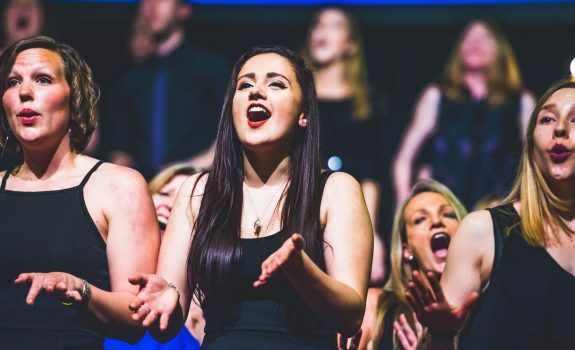 As the song vibrantly ended, the audience eagerly applauded and the choirs filed-out, leaving Love Soul Choir, centre-stage. 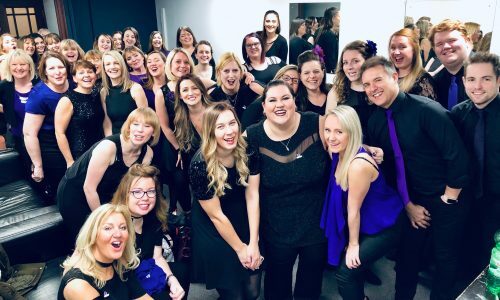 Love Soul Choir presented their first song, Party in the USA, with a sparky-spirit and such infectious energy to kick-off their set. The energy inspired me, uplifted me and, as I scanned the room, I soon saw that the whole audience was inspired, uplifted and watching like joy was being injected into their souls. What a feeling. What better way to open this epic annual show. Every Love Soul singer standing on that stage stood out. 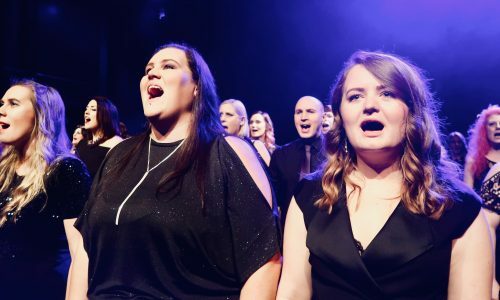 There was so much to take-in: the black-and-purple outfits, the shoes and hair-styles; the sparkles, the glitter; the magic harmonies, textures, moves; the way the performers made bold eye-contact with the audience, drawing them in. I was drawn-in. I wanted to join in. But then, the choreography. Just when I thought it couldn’t get any better, the choreo’ kicked-in and ‘blew-me-away’. It ‘blew the audience away’ too. 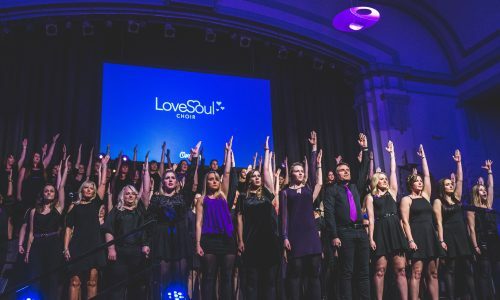 There were cheers and audible gasps of astounding-respect at the way Love Soul Choir executed their clever choreography, which launched them into another league of professionalism. It just all looked and sounded extraordinary. 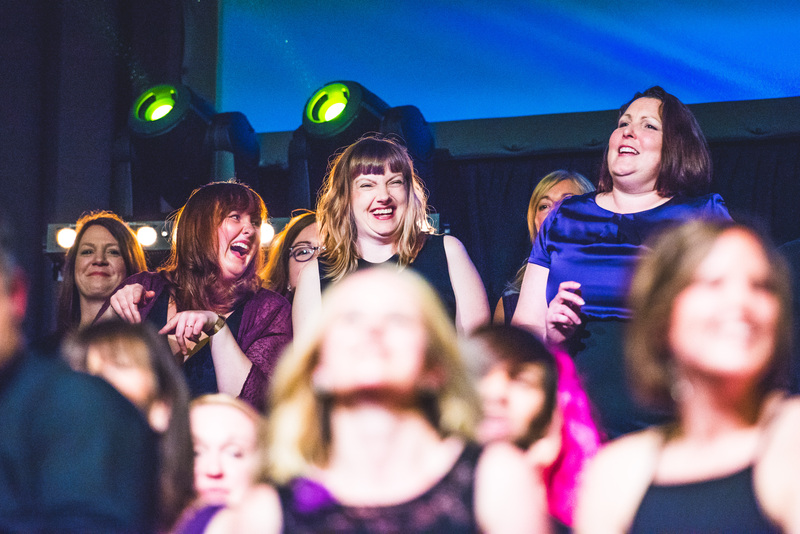 What a privilege it was to sit in my little ‘nook’ and experience the modern sounds and moves of Love Soul Choir. Every single Love Soul singer smiled at me as they walked back-stage. What a warm, talented, lovely group of souls. 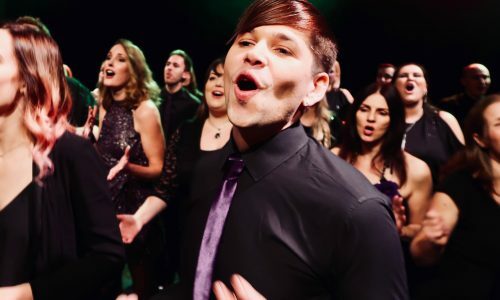 When I watch Love Soul sing, I feel brilliant. Thank you Love Soul. What a treat.